The Australian Terrier, one of the smallest of the working Terriers, was bred to be both a helper and companion in rough times and terrain. 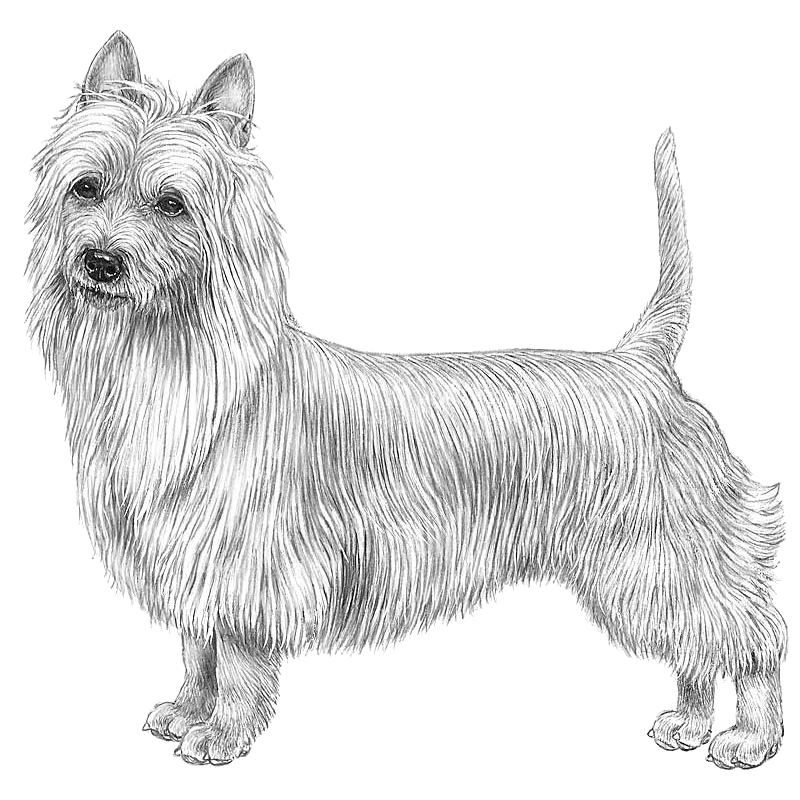 A native dog (known as the "rough-coated terrier") and a close relative of the old Scotch dog of Great Britain (not to be confused with the present-day Scottish Terrier) are believed to have been cross-bred with a number of other breeds of British stock to produce the fast, sturdy, weather-resistant and fearless little dog that the settlers needed as they expanded the frontiers of their country. THE AUSTRALIAN TERRIER: A Presentation For Judges By The Australian Terrier Club of America Inc. There are numerous breed standards. The basis of breed/conformation shows is the judging of pedigree dogs against the 'Breed Standard', which is a picture in words that describes the range of features that are deemed appropriate for the breed. The Kennel Club list of DNA tests available for each breed along with an indication as to whether the test is part of the Assured Breeder Scheme (recommended or required) and whether it is recorded on the Kennel Club registration database. We are listing sites for breed clubs with health or other information that might be helpful. Follow links below. SCC -- Lutte Contre Les Hypertypes "Guide Des Bonnes Pratiques"